This week’s episode is Part II of the discussion surrounding the recently released Bootleg Series Vol. 14: More Blood, More Tracks! In this hour, Laura muses what role exactly Anton Chekhov might have played in the creation of Blood On The Tracks, and what that tells us about the reaction to this release in the media. The majority of the episode is dedicated to exploring the executive decisions made in the creation of this Bootleg Series. It’s getting a bit nerdy, as we explore muted bass mistakes, vocal edits, and wonder why the hell the Dylan camp doesn’t want to release the test pressing version of Idiot Wind?? This week Laura dives into More Blood, More Tracks, the highly anticipated Vol. 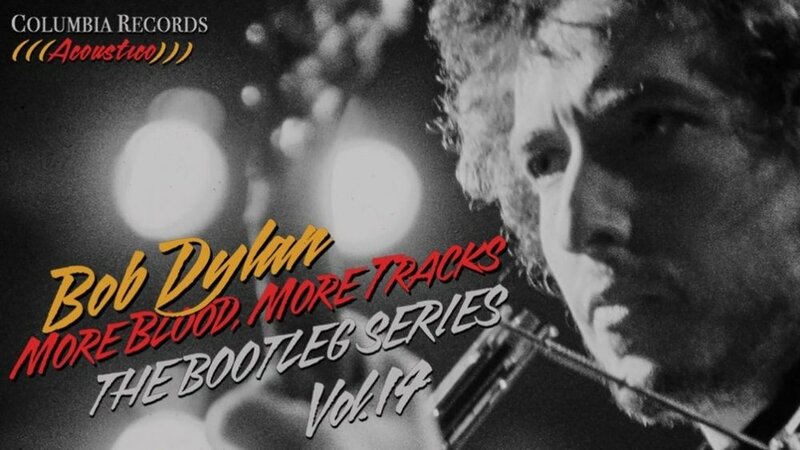 14 in Bob Dylan’s ongoing Bootleg Series, which was released at the beginning of November! 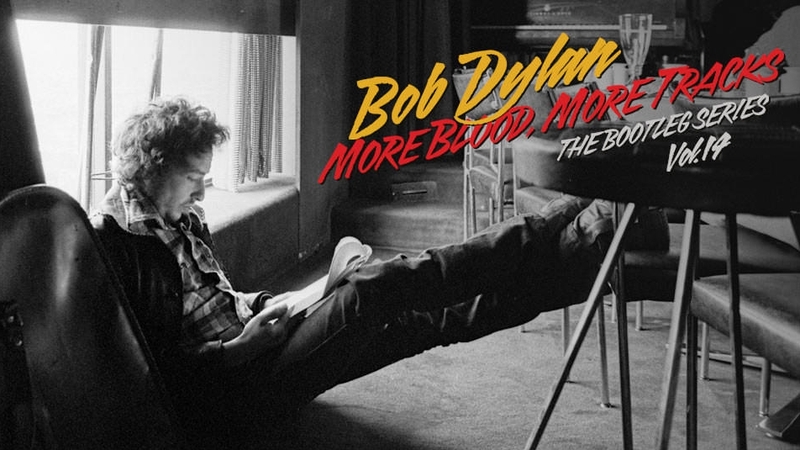 The collection is entirely dedicated to the recording sessions of Dylan’s seminal 1975 album Blood On The Tracks, with particular focus on the sessions Dylan initially recorded in New York over the course of four days, before he decided to re-record half the record in Minneapolis a few months later. For decades, fans have been circulating a bootleg version of the album’s test pressing comprised of only tracks from the New York Sessions, speculating what could have led Dylan to reconsider the album’s aesthetic. In this hour, Laura talks about the allure of the New York Sessions, while also trying to discern what’s behind the seemingly frequent criticism of the Minneapolis takes among Dylan fans. We also explore the record’s status as one of the most famous “confessional” songwriter albums, as well as the fascination with Dylan’s real-life heartbreak and its impact on the songs. BOB DYLAN: “Yeah. Anything I try to write about, I can’t do it. If I try to write about something - "I want to write about horses" or "I want to write about Central Park" or "I want to write about the Cocaine industry" - I can’t get anywhere with that. I have to always take it out. It’s like that "Hurricane" song. I wanted to write a song about Hurricane Carter, I wanted to spread the message. It really doesn’t come out about Hurricane. Really, the essence of it is never what it’s about. It’s really about you. Unless you’re standing in somebody else’s shoes you just don’t know what it feels like. You don’t know what it’s about. You can go to a movie and say, "What’s this about?" A movie is something that gives the illusion of stopping time. You go someplace and you sit there for a while. you’re looking at something. You’re trapped. It’s all happening in your brain and it seems like nothing else is going on in the world. Time has stopped. The world could be coming to an end outside, but for you time has stopped. Then someone says, "What was it about?" "Well, I don’t know. It was about two guys who were after the same girl." Or, "It was about the Russian Revolution." Well, yeah, that was what it was about, but that wasn’t *it*. That’s not what made you stay there and stare at the screen, at a light on the wall. In another way you could say, "What’s life about?" It’s just going by like a movie all the time. It doesn’t matter if you’re here for a hundred years, it still goes by. You can’t stop it. So you can’t say what it’s about. But what you can do is try to give the illusion of the moment of it. And even that’s not what it’s about. That’s just proof that you existed. The entire interview is interesting and can be found here. This week, we dive into Bob Dylan’s Mondo Scripto, the new exhibition of Dylan’s artworks currently on show at London’s Halcyon Gallery. In an exclusive interview, Laura speaks with Paul Green, the gallery’s president and founder, about the exhibition, the history of Green’s working relationship with Dylan, and the importance of Bob Dylan as a post-war American visual artist. Green also shares some interesting news about a huge Dylan career retrospective coming to China next year. 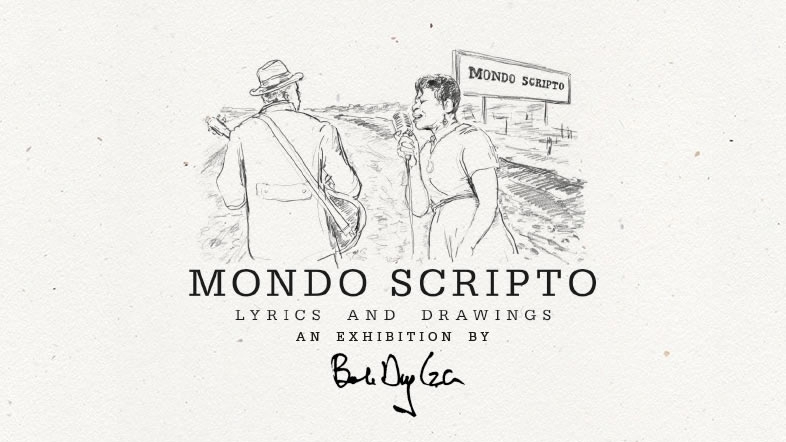 Mondo Scripto features Dylan’s handwritten lyrics to roughly 60 of his most popular songs, accompanied by graphite drawings that serve as illustrations to the words. Some pieces appear in Dylan’s own ironwork frames. Though Dylan has worked as a visual artist for much of his career, and we’ve seen his paintings appear on album covers such as Self Portrait, Planet Waves, and The Band’s Music From Big Pink, Mondo Scripto is the first exhibition in which the words of Dylan’s songs and his visual art appear in direct juxtaposition. However, as is often the case with Dylan, things are not what they seem, and mysteries abound. The interaction of writing and visual art has long been a hallmark of Dylan’s work, from the vivid imagery of his 60s songs, to his deep associations with films and filmmaking throughout the decades. Dylan has also credited the painting lessons he took with Norman Raeben as the source for a new-found writing style which he was able to explore on his seminal 1975 album Blood On The Tracks. The Mondo Scripto exhibition at the Halcyon Gallery runs through to the end of November and is free of charge. If you can’t make it to New Bond Street to see the exhibition yourself, it’s worth buying the exhibition catalogue, which includes reproductions of each piece. However, since the exhibition includes multiple versions of certain songs, there are some variations that aren’t found in the catalogue. That is the case with “You’re Gonna Make Me Lonesome When You Go”, which Laura talks about in the episode. If you’re interested in reading the lyrics to that version in full, you can look at them here (and here’s the drawing that goes along with it). “Tangled Up In Blue” is another song that Dylan has revisited multiple times over the years. In the episode, Laura plays a version with re-written lyrics from the 1984 concert album Real Live, but if you’re interested in reading the version of the lyrics included in Mondo Scripto, you can see them here (1, 2, 3). For better quality images and more information, please see the exhibition catalogue, or go and see Mondo Scripto for yourself at the Halcyon Gallery in London. Here’s the link to the article by Scott Warmuth on Dylan’s exhibition, The Beaten Path. This week I put out a call on social media, asking the listeners of this show what songs they would like to hear in this week’s episode and why. You certainly did not disappoint, and I received so many great suggestions that it was pretty hard to narrow them down and fit them into just one hour. What resulted is a varied and colourful hour of music, featuring songs from almost all decades of Dylan’s career, as well as some hard facts about cicadas! If you’d like to find the show on social media and join the discussion over there, don’t forget to like the Facebook page and follow the show on Twitter and Instagram. Leave me a comment to tell me which song you’d love me to play and talk about sometime! Yesterday I asked you on Twitter what your favourite Dylan cover was, and I received a wide variety of answers, although Jimi Hendrix’ All Along The Watchtower seems to be a universal favourite. Since I started this show, people have been asking me when I’d do an episode on my favourite Dylan covers. And, you might have guessed it, the answer is, this week! In this hour I want to play you some of my favourite covers of Bob Dylan songs, and spoiler: they don’t include Jimi Hendrix. Nor the Byrds! Some might consider that blasphemy, but in the episode, I explain why I decided to forego these giants among Dylan cover versions. This week, I’m positing the thesis that a cover version is a form of translation. To explain what I mean, I’m getting some help from critic and philosopher Walter Benjamin, who had some thoughts on the matter of translation that I think can also be applied to the cover of a song. In the episode, I talk about the way cover versions can help us discover new sides to a song. In episode 9 I talked a bit about how a song’s perspective can shift if it is sung by the other gender. But how does our perception of Dylan’s protest songs change when it is performed by a person of colour? What impact does it have whether the person singing is young or old, whether the cover is faithful to Dylan’s album version or radically different? Of course I could fill this post with honorary mentions that I didn’t have time for, but I’d actually rather return to the subject some other time to do a Part 2. But here are a few links that I talked about. Sorry if I sound a bit raspy in this episode, I have a cold!